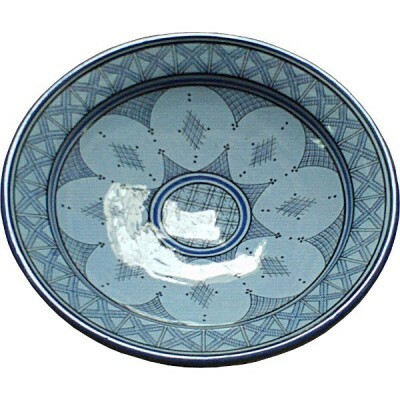 Moroccan Ceramic Bowl Platter of Safi with geometric patterns. Moroccan Ceramic Bowl Platter of Safi with an artistic decoration of geometric patterns﻿. Handicraft of Morocco.